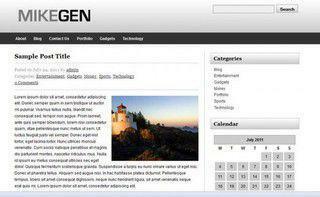 Here is my first publicly-available WordPress theme - the MikeGen theme. The "Gen" is short for generic because I was looking to build a cleaned-up, streamlined base theme that I could use as a starting point for more complicated, flashier themes. 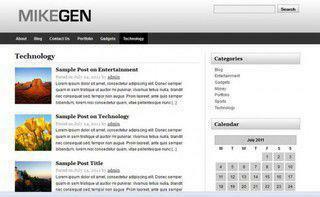 It is a simple, two-column, fixed-width, right-sidebar theme meant for basic blogging. The colors are entirely gray-scale: black, white, gray, and silver. 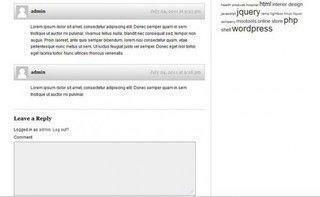 It forces the user to focus on the content of a website without getting distracted by a colorful, ornamental frame. Category archive index. The images are thumbs of the featured image for each post. Comment section of a single post. There are two (2) menus for this theme: one for the top navigation bar and one for the footer navigation. There is only one sidebar for this theme. Upload your logo - it should be a transparent PNG (so the background gradient will come through). I will update this theme when time allows. Any comments and suggestions are welcome.